Color code your appointment types, making it easy to read the schedule at a glance. Easily manage your practice’s schedule with our multi-view calendar and drag-and-drop online patient appointment scheduling. 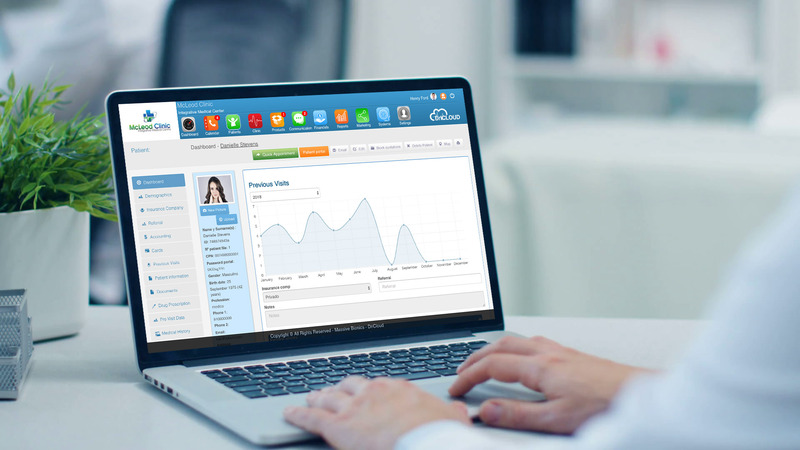 Front-desk staff are empowered with modern patient scheduling and practice management software that makes it easy to book and confirm appointments across locations and quickly check patients in and out. 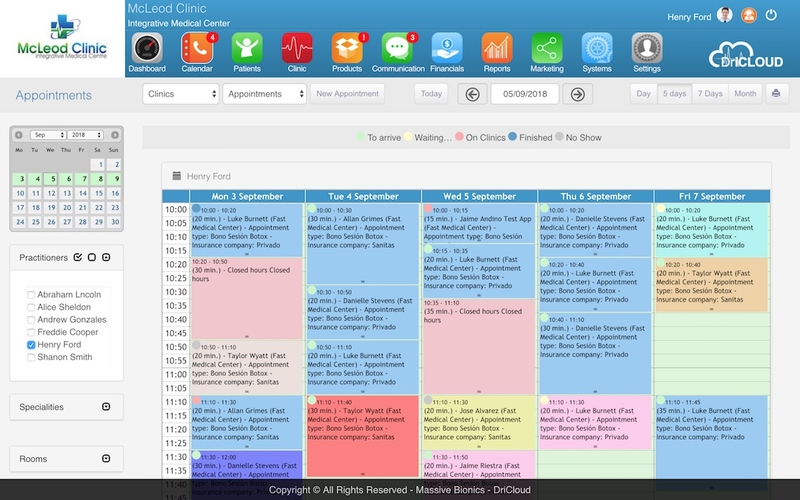 Need to create an appointment for an existing patient? Quickly search by name, surname, phone or ID, and book them in fast in our EHR Software. Is it a new patient? 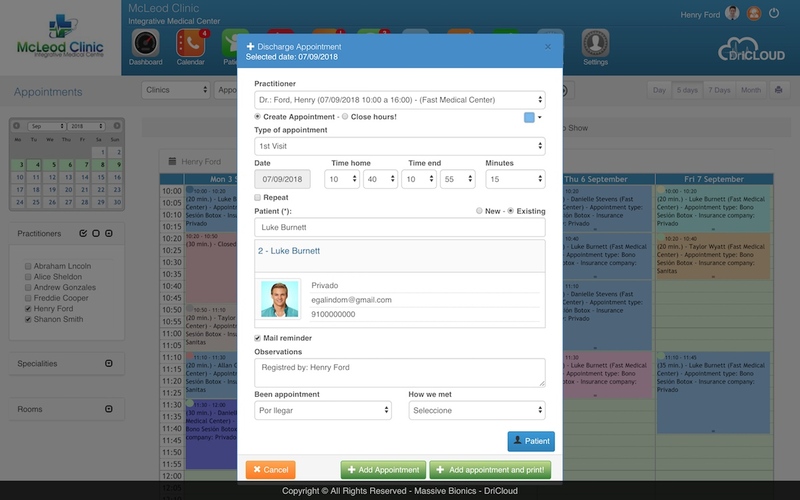 Add their details while creating the appointment to seamlessly create a new patient record. Preset your appointment durations to speed up the booking process. Need to rebook the next appointment, that is even faster with the rebooking function. Check In eliminates the long lines at front desk. Check Out collects anonymous data from the patients. 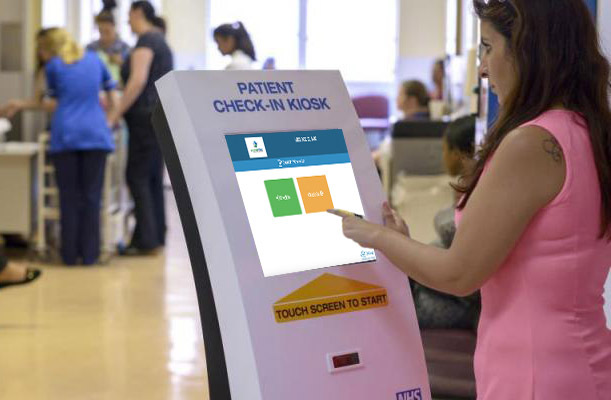 Better Patient Flow and Cycle Time. First impression at check-in sets the tone for the remainder of the appointment. Dealings with front office staff at check-out will be what patients remember after they leave. Appointment reminders that go out automatically. You don’t need to do a thing. Patient no-shows hurting your business? Automated FREE Push Notifications and FREE email reminders will save you time and money. When we say automated reminders, we really mean it. DrinCloud reminders are set and forget. Messages go out when you make the appointment and the day before the appointment, without you needing to do a thing. Access the patient tab directly from the calendar to find detailed info about the patient. Previous visits, documents, consent forms, invoices, alerts, prescriptions, insurance info, all you might need. Do you have clinics in multiple locations? It’s easy to manage all of them within one DrinCloud account. It’s easy to toggle between appointment books and report on your finances separately for each location. Managing your business across multiple locations is going to be a lot simpler with DrinCloud. Patients can with just ONE CLIC confirm or cancel the appointment. You are notified instantly. DrinCloud generates a cancelation list from where you can reschedule the appointment very easily. Do not loose more patients! Patients can with just a CLIC send their location and your practice location to UBER. UBER will pick them up and drive them to your Medical Center. 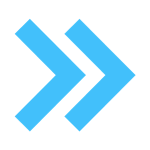 Easily program unlimited futures recalls. 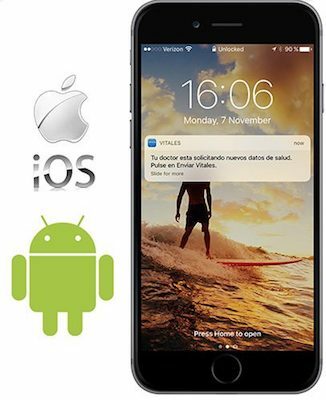 Free messages will be sent automatically to patient’s phone and email. Create and manage recalls for each individual patient. Upcoming recalls for all patients are listed in a report and messages are sent automatically when the date arrives.